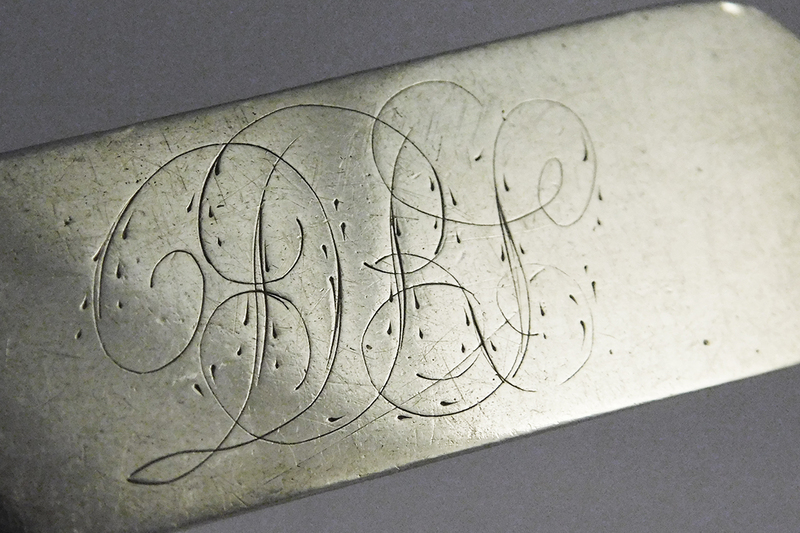 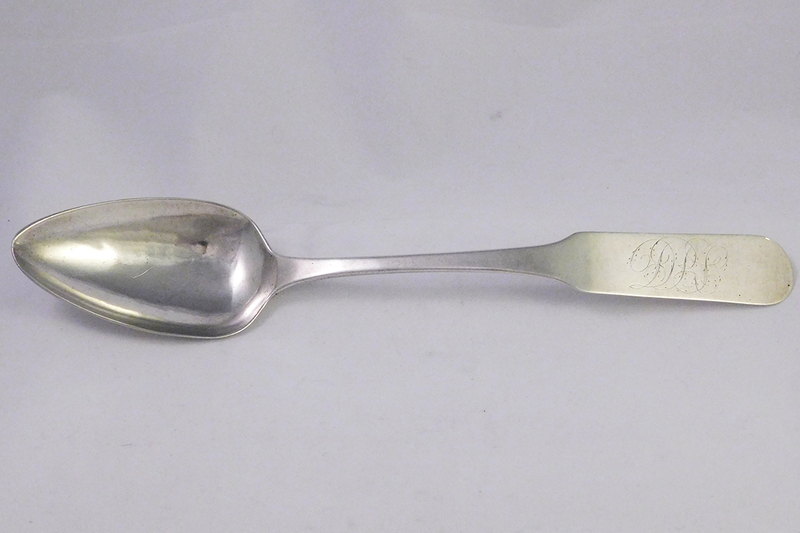 A large 9 ¼ inch tablespoon by Robert Gordon, Nashville TN, circa 1820 or earlier. 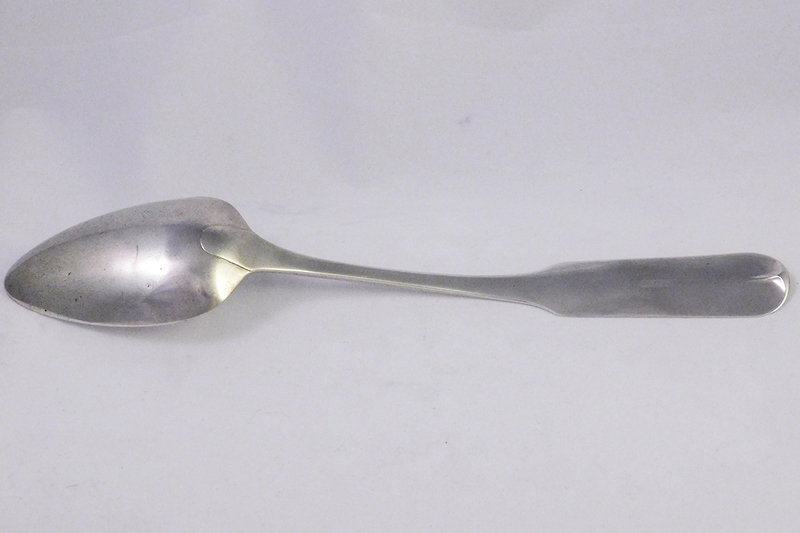 Nice finless spoon in excellent condition. 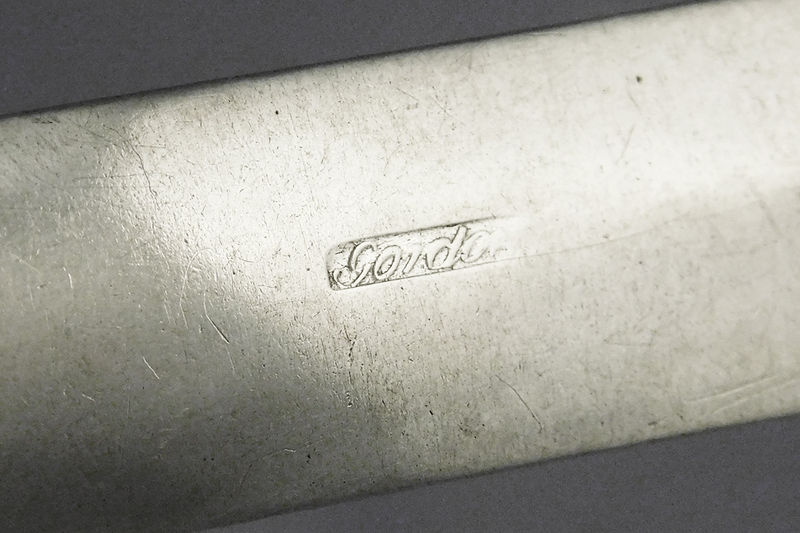 Form is nearly identical to a small ladle illustrated in Caldwell’s book.